Are you a fan of the Avengers? 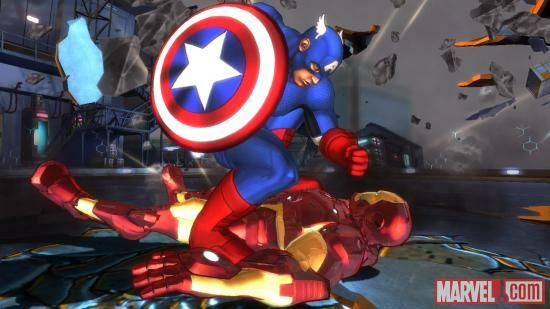 With the hugely successful movie, it seems like everyone is loving marvels superheroes these days. 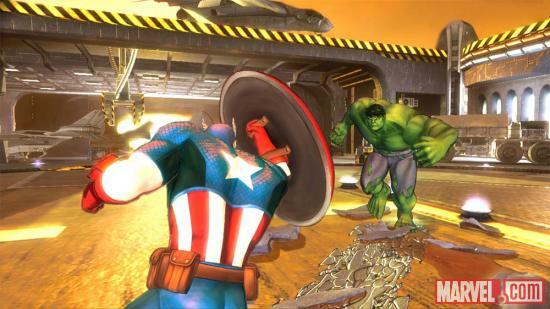 Did you know there is a great new game for the Xbox Kinect Avengers: Battle For Earth. When it comes to fighting crime, maintaining public order or rescuing damsels in distress, the Avengers have got it in the bag. They're called superheroes for a reason their abilities, techniques, skills and power far surpass that of any ordinary man or woman. But if you turn the tables and face them off against each other, you've suddenly got exceptional abilities against exceptional abilities and extraordinary skills against extraordinary skills. Prepare yourself for epic battles, battles where the mighty power of a superhero rests in your very hands, and where taking down your opponent will test that power to its limit. USE MOTION TO FIGHT AS A SUPER HERO - Connect with Kinect - Trigger super attacks with your movements. EXPERIENCE A WIDE VARIETY OF GAME MODES - Co-op, Campaign, Arcade, Challenges, Versus, and Tournament. TONS OF BONUSES TO UNLOCK - Work your way through the battles, you'll unlock unique outfits and collector cards. BATTLE WITH AN ENHANCED FIGHTING SYSTEM - Use Super Attacks, Velocity Boost, Breaker, or Frenzy to beat your opponents. When I showed my daughter the Avengers Battle for Earth for the Xbox kinnect. Her first reaction was oh a game for daddy. Little did she know that this “boy’s” game had a surprise for her, she flipped out when she saw she could be Black Widow. 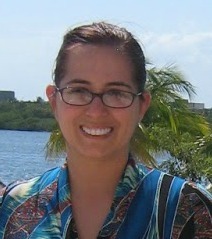 A GIRL! She went from uninterested watcher to full on gamer in a span of a second. My only concern with this game was the Kinect feature. Why is that? Well the Kinect lets you unleash the power of your characters and with my daughter and my larger older “son” someone was bound to get hurt because they tend to get a little rowdy. Thankfully no trips to the ER and they both give the game two thumbs up. The graphics are stunning and game play is cool because you really get into with the Kinect. My husband’s only problem was what character to choose! He’s a Wolverine fan but the game not only features everyone’s favorite Canadian, but Venom and Iron Man, Hawkeye, Captain America, Magneto, Loki, Thor the Hulk and many more. The game is deep in characters so game replay value is high and thankfully the Kinect works seamlessly with the game so no wonky control mishaps which sometimes tend to happen. The game looks just like it flew off of the pages of a comic; it has a really cool comic styling to it that makes it stand out from the other super hero games. 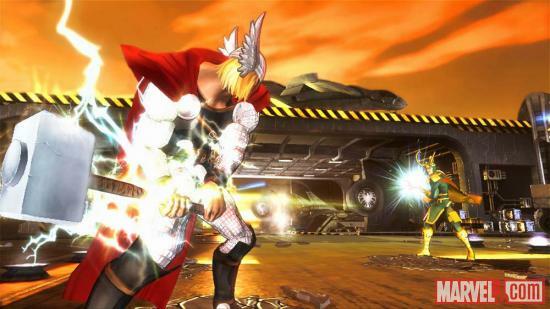 The game modes include VS., co-op, campaign, arcade, challenge and tournament. Like I said the replay value is high so your return on investment is great with this title. Also the more you play the more you unlock like optional outfits for the characters and in game collector cards. And frankly who doesn’t want to be a hero? 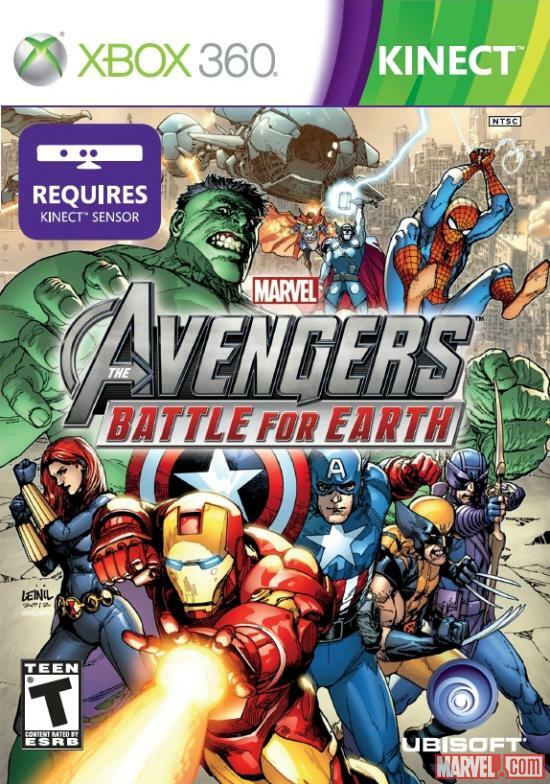 So if you are looking for a great gift idea, why not pick up a copy of the Avengers: Battle For Earth for the Kinect the special someone on your holiday gift list will just love it!